Everyone needs luggage. If you are like me you want the best carry on for those weekend getaways and the best checked luggage for those longer trips. It can be difficult to choose with so many options available. One of the newest innovations is luggage with a built-in phone charger. Here are luggage tips from Business Insider and Consumer Reports to help you decide. In addition to suitcases, there are many luggage and packing accessories that make great gifts. One of the newest trends are packing cubes. 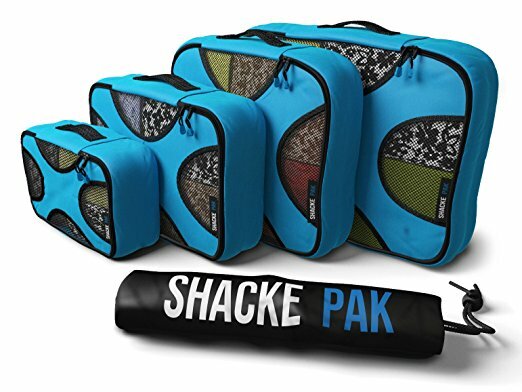 Shacke Pak, available on Amazon, has 4 water-proof cubes and a laundry bag to help you keep your clothes organized and wrinkle-free. Travel Fashion Girl is offering her own packing cubes beginning in March 2018. Here is the link for her pre-sale where you can save $10 if you are interested. P.S. I don’t make any money on promoting her cubes, I just follow her on social media and like her travel fashion advice. Packing can be a challenge. I am always afraid I will forget something. So how about packing lists? How to Pack by Hitha Palepu is must-read for anyone who hopes to master packing, this illustrated book offers advice on not just what to bring, but the best way to bring it, too. Plus, the cover is pretty much begging to be Instagrammed. Another stack of packing checklists is Knock, Knock Pack This! Pad. Luggage tags make great stocking stuffers. Mark and Graham has monogrammed leather accessories in fun colors and designs (gift wrapping is free). Jet Set Candy has Luggage Tag Charms that allow loved ones to wear their wanderlust even when they aren’t traveling. A luggage scale can come in handy when you are worried about over-packing and want to avoid those hefty fees for an over-weight bag. Technology is part of our daily lives. These gifts will keep your tech traveler happy. Tech Tacos - These pretty organizers will keep your cords from getting tangled and they are so cute! Minipresso machine - I am a coffee addict so this appeals to me. You can have your favorite caffeinated beverage no matter where you are. GoPro - A GoPro is the perfect camera for the traveler who wants to capture it all. Selfie Stick - If you are traveling alone this is the perfect way to capture those memories. Travel Iron - No one wants wrinkled clothes. This iron is so small it will fit anywhere. Ollo Clip 3-in-1 Lens Set - A must-have phone accessory for your photographer traveler. 5-in-1 Adapter - A compact cube that enable travelers to plug in in 150 countries. It comes with a color-coded map to let you know which prong works in which destination. Mod Tablet 4 - This Italian leather tech kit organizer fits tablets less than 11 inches tall and includes a Tile Mate Bluetooth tracker so your valuables are never truly out of sight. Journaling your trips helps create those lifelong memories. The “I Was Here” Travel Journal is beautifully illustrated. It also offers fun challenges and prompts that encourage people to explore the world in a more whimsical way. The Travel Listography is for the traveler who loves to create lists of things and the Scratch Travel Journal combines a travel planner, a checklist, a diary, and an interactive map all in one, it is the ultimate travel companion. Maybe your traveler needs an organizer to help them plan their trips, the World Awaits is perfect for creating a bucket list of places to visit and useful as a handy reference tool. Even in this day and age of google maps everyone still loves a great physical map. Crumpled City Maps are waterproof and, you guessed it, crumple-proof. There are also some cool maps for your home that share where you have been on your travels. Scratch the World allows people to mark off all the wonderful places they have visited. 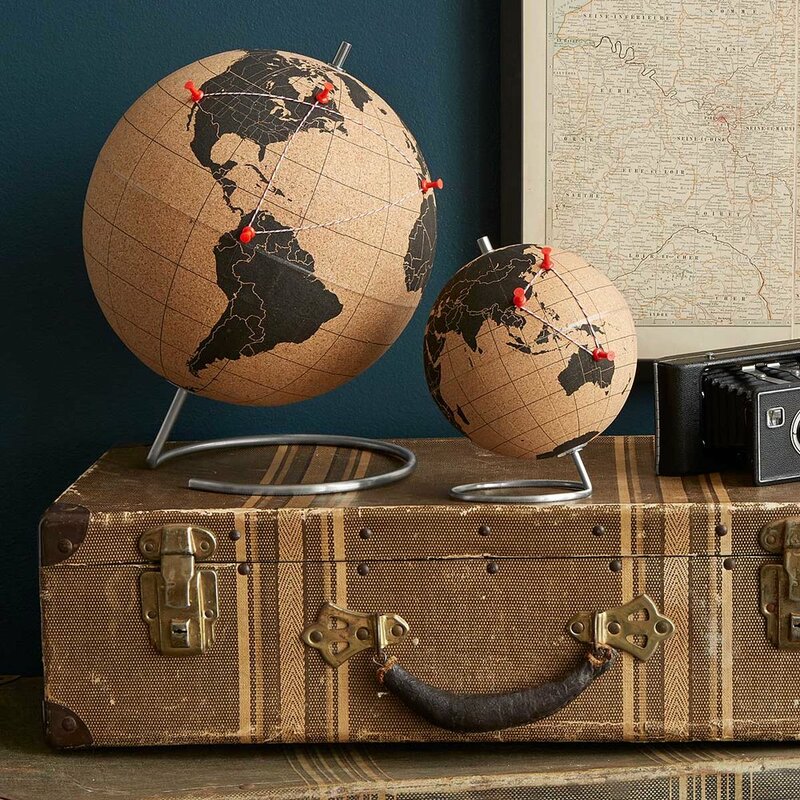 An alternative to the scratch off map is a Cork Globe that has colored pins to keep track of bucket-list destinations and favorite past vacations. One of the best ways to remember a vacation is through photos. However selfies aren’t always the best way to document your trip or maybe one person is missing from the photos because they are taking the photo. You could ask a stranger, but what if they cut off your head! The best way to create keepsakes of our most precious travel moments is to let a professional do it. 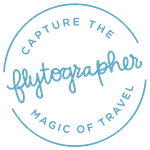 Flytographer has local photographers in over 190 destinations. I have clients that recently honeymooned in Maui and had a Flytographer session (they received a gift card as a wedding gift). They loved it! If you would like to order a gift card here is the link or contact me (beth@paradisegetaways.net). If you use my booking code (bethjohnston) when you purchase your gift card or session I will get a small commission. Imagine your loved one’s happy surprise opening up a pre-paid trip to paradise! The idea of giving a trip as a gift is a good one. Most people, especially the twenty-something millennial generation, increasingly value experiences over material possessions. Travel is recalled as an “extraordinary experience” just below life’s milestones, according to a study on happiness done by researchers at Dartmouth and the University of Pennsylvania in 2013. Trips are remembered much more over time than material gifts. 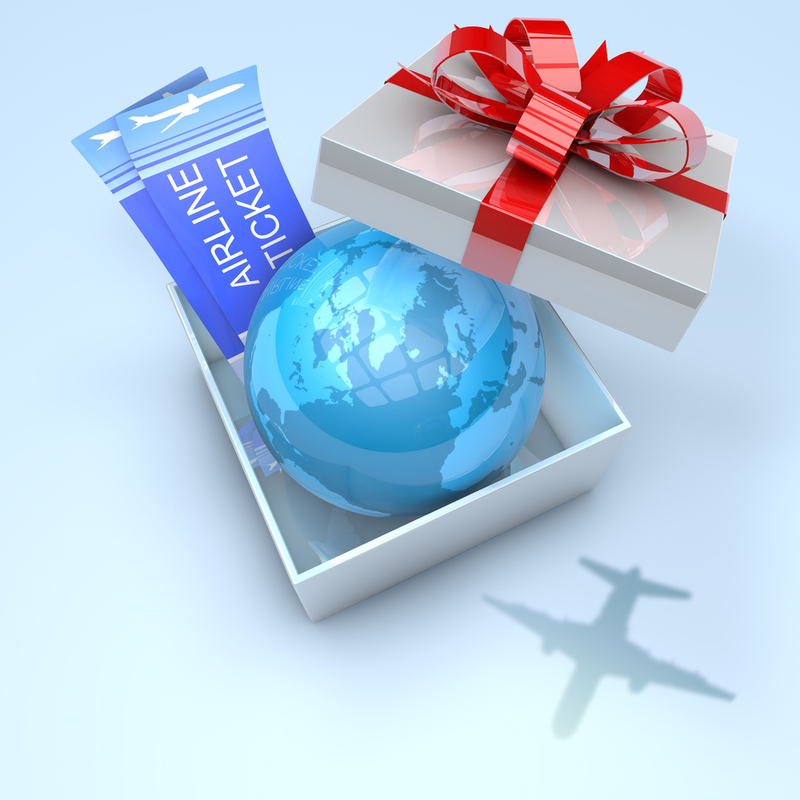 So what’s the best way to give the gift of travel? If you know the person can travel the dates you have chosen and you want to surprise them a travel professional is your best bet for making this special surprise a reality. If you aren’t sure of their availability you can make it open-ended. Wrap up a travel brochure and enclose a note explaining what you will pay for or an actual gift certificate, gift card or check. I would love to help you make this dream gift getaway a reality. Contact me and tell me your vision and let’s make it happen! 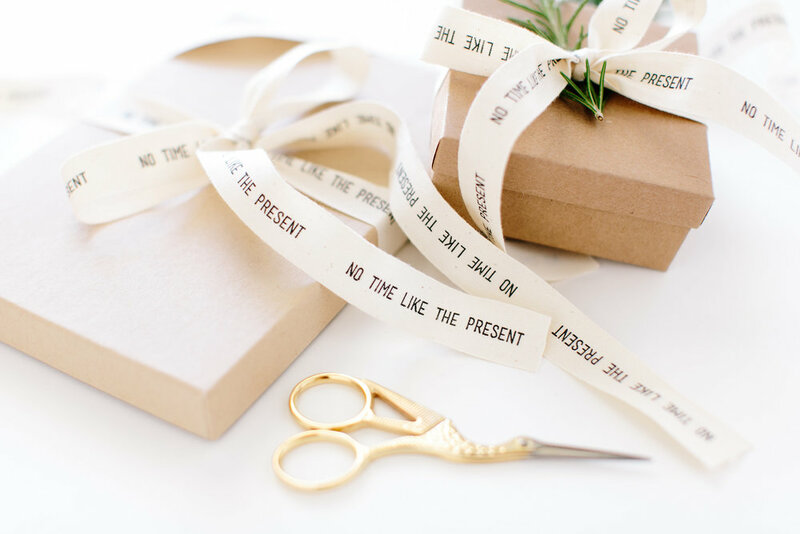 I am sure that any of these gift ideas will make meaningful presents for your world wanderers. Happy shopping! P.S. Many of these items can be found on Amazon. Another way to give this holiday season is to use Amazon Smile where you can chose a charity of your choice to donate to every time you shop on Amazon. It is the gift that keeps on giving.